Can I complete the hCG Diet Australia if I am a vegetarian or vegan? Can I complete the hCG Diet Australia if I am lactose intolerant? The hCG Diet Australia is so low in calories, won’t I get hungry? The dietary system mobilises fat from the body storage reservoirs and converts it into energy, and so naturally controls appetite. Occasionally the first few days are challenging as the system gets into full swing, but once you fully access the energy stored in fat cells, you will be very comfortable taking in fewer calories. So hunger is controlled for most people while using the diet drops. If this hCG is so efficient for weight loss why do pregnant women gain weight while producing so much? The program has tight calorie restriction. Pregnant women do not normally engage in a 500 calorie diet. Are frozen veggies okay instead of fresh during the hCG Diet Australia? Fresh organic vegetables are our preference to help you detoxify, but frozen vegetables will suffice. 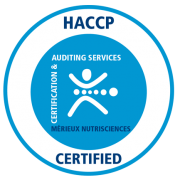 Can I eat anything I want after the maintenance phase of the hCG Diet Australia is complete? The simple and honest answer is no. Unfortunately our modern world food supply is now saturated with sugar/ fructose. Completely removing fructose from your diet will enable the normal appetite mechanisms to come into balance and reduce excessive calorie intake. So ultimately, avoid sugar/ fructose and other … ose’s completely. Food addictions are very real. Long term past consumption of sugar, alcohol or gluten, will possibly generate addictive cravings. They will pass within a few days. What should I eat during the loading phase?